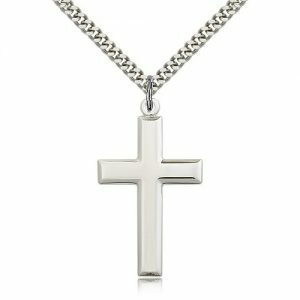 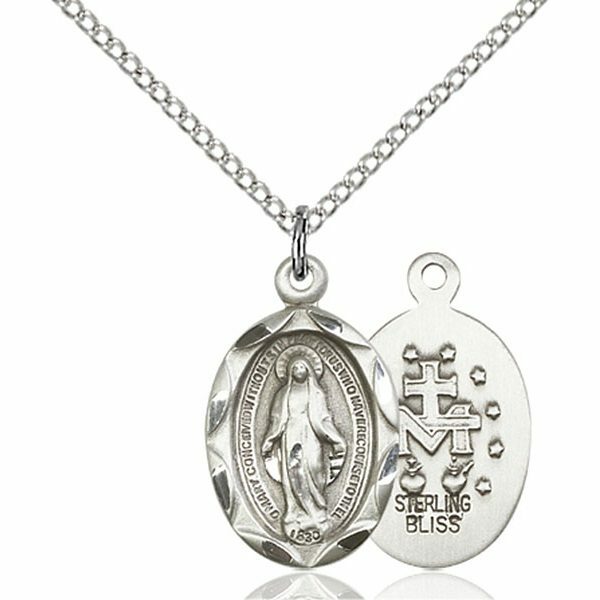 High-quality, Solid Sterling Silver Miraculous Medal Pendant – Faceted Design – Makes A Great Gift! 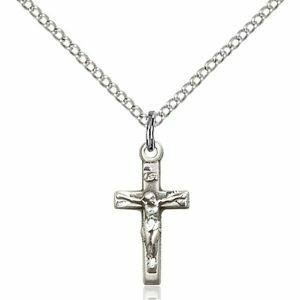 Heavy Curb, Silver-Plated Chain (Pictured, Optional) Available In Various Lengths.? 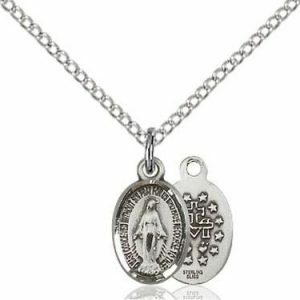 24 to 30-inch Chains are Endless; 20-inch and Shorter have a “Lobster Claw” Clasp. 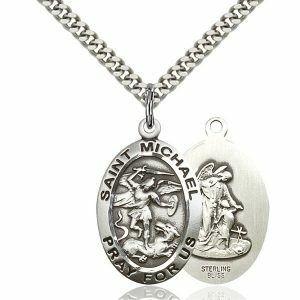 Lowest price guarantee: If you can find a better price for this same medal, let us know and we will beat it. 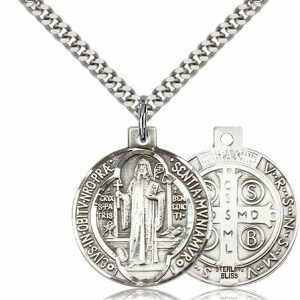 Note: This is a high-quality, solid silver medal.? 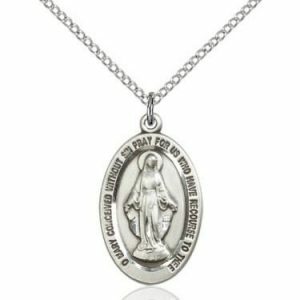 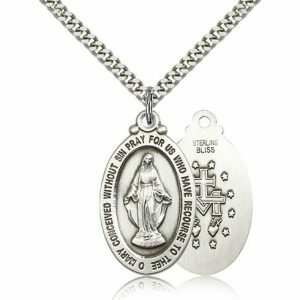 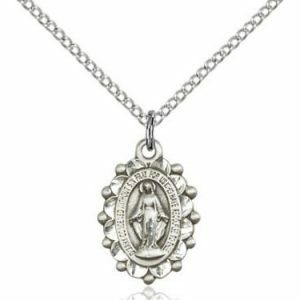 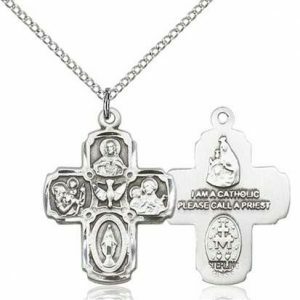 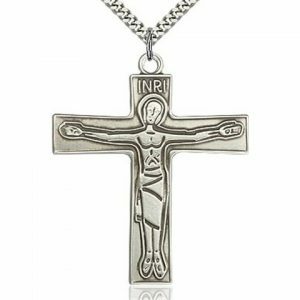 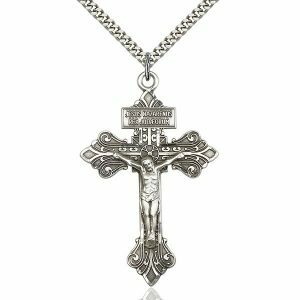 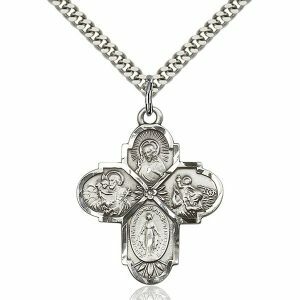 If you are looking for our low-cost, silver plated miraculous medals available in bulk, you can find them here.